You know those "where are they now" specials on tv? I think it's so fun to check back in with things we've known and loved. Today I'm here to do a "what's it look like now" special on my blog. I'm revisiting old projects to see what they look like today. 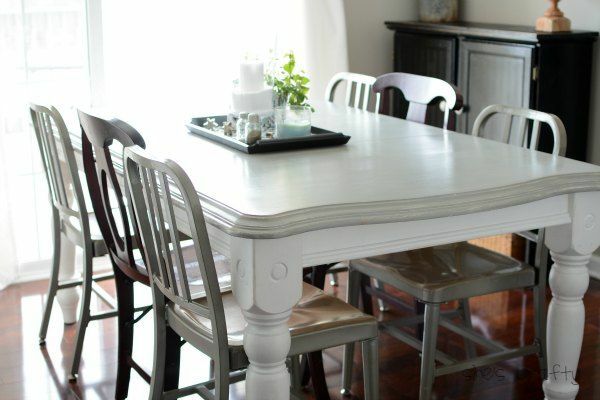 In July 2013, I painted our kitchen table. I still love it so much. We have been using it with the leaf in to give us a little more room. The paint has held up beautifully. In October 2014, I redid our laundry closet. I am still totally in love with it. I can't believe I lived with the before for so long! It looks just like this still, except much messier. That's why I have the curtains there, to pull them closed and hide everything! 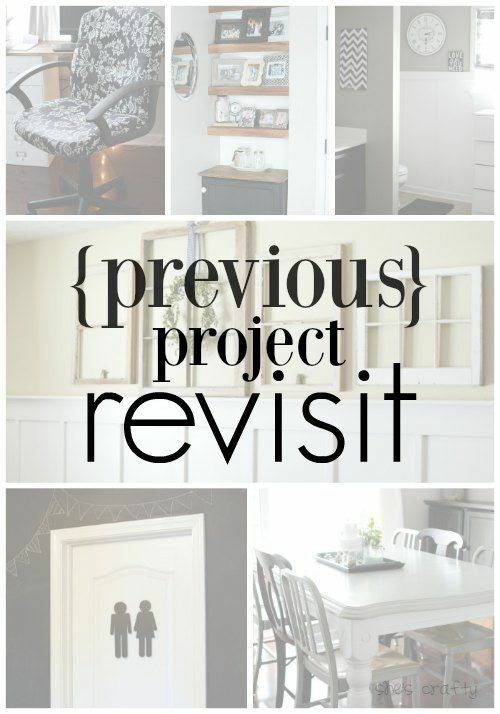 Check out the laundry closet redo here. In the Spring of 2015, I gave my boys' room a makeover. 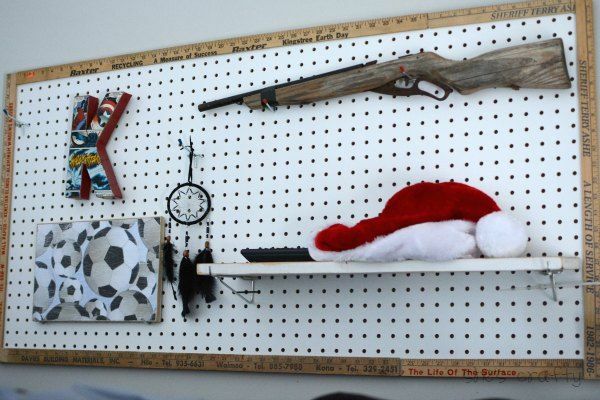 My youngest still has this pegboard storage up on the wall by his loft bed. 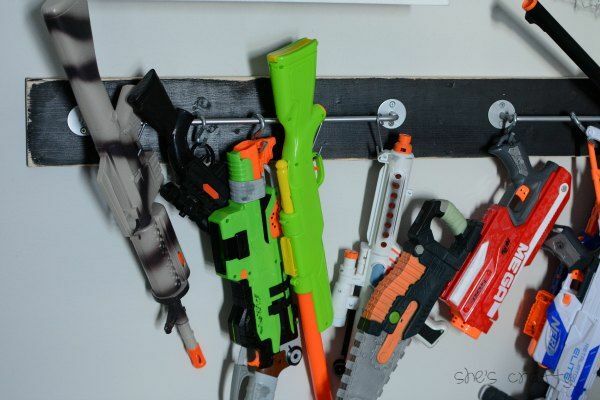 We also are still using this nerf and toy gun storage rack. Way back in June 2011 I did this gift wrap storage rack. We still use it today. It looks exactly like this except, again, much messier. It has held up to door slamming and day to day life in our house. See gift wrap organizer project here. I put board and batten up in our living room. Our living room was a boring box without architectural interest at all. 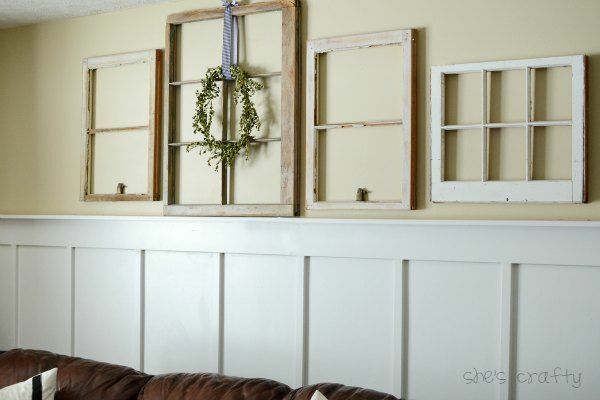 With the molding, it makes the living room a little more special. The only thing I wish I would have done differently is have the 1x8's cut by someone who knew what they were doing, I did not do a great job with my jigsaw. I also should have done the joined the boards with diagonal cuts to make them fit better. But other than that, I'm still really happy with it. 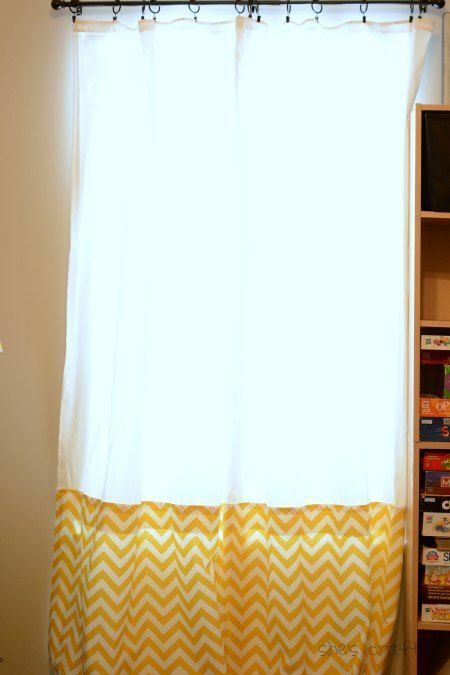 In May 2012, I customized store bought curtains. We are still using them today. In fact, I love them and want to do something similar for our living room. 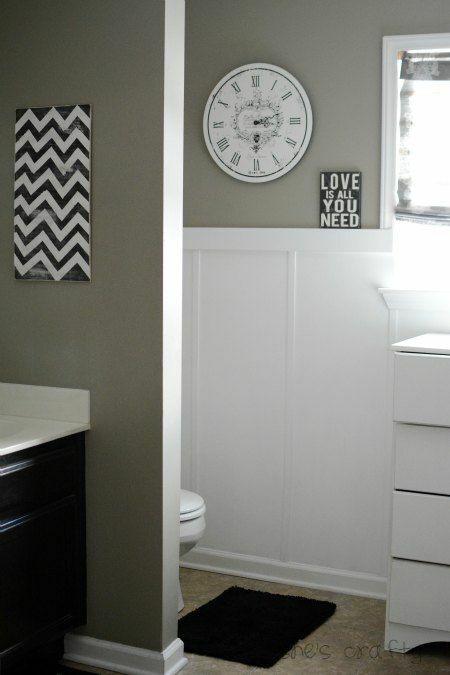 In March 2012, I gave our Master Bathroom a makeover. This is what it looks like today, exactly the same. I still like it just as much today as I did then. In August 2011 I made forward facing bookshelves. Here is what they look like today. 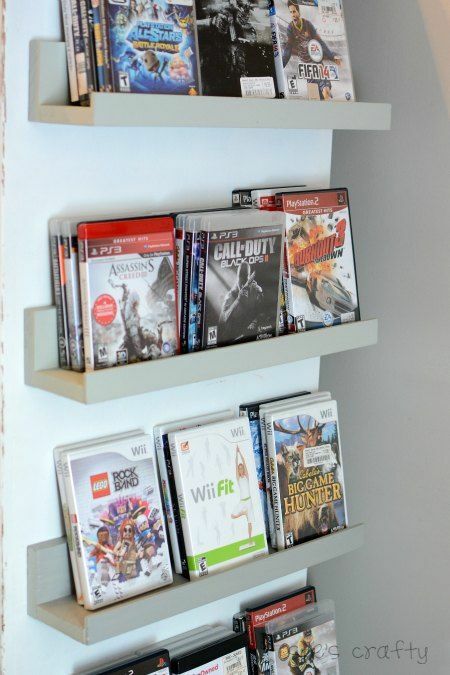 Now we use them to store video games. See forward facing bookshelf tutorial here. In July 2012, I redecorated my kids bathroom. My favorite part of the bathroom is the boy and girl icons on the door. I got them at Michaels then and have never been able to find them since. See full bathroom tour here. 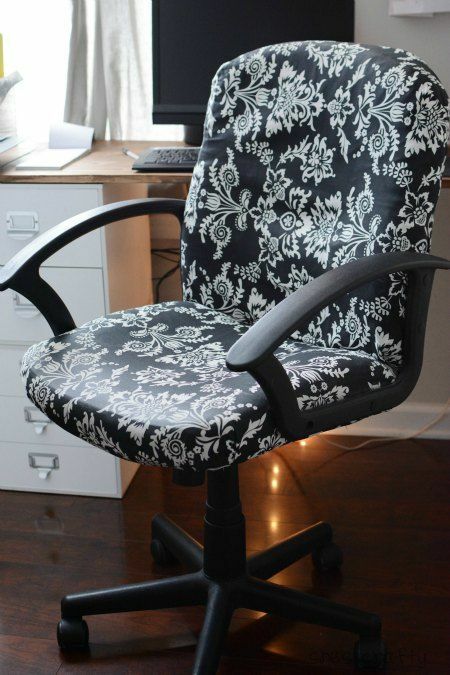 In August 2011 I recovered my plain jane office chair. This is what it looks like today- the exact same as it did 4.5 years ago. The staples and fabric have held up surprisingly well. The fabric hasn't torn, it looks perfect. The staples have stayed in as well. I haven't had to do anything to it. We use this chair daily too. My kids plop themselves on it regularly. shelves and a cupboard in our dining room. 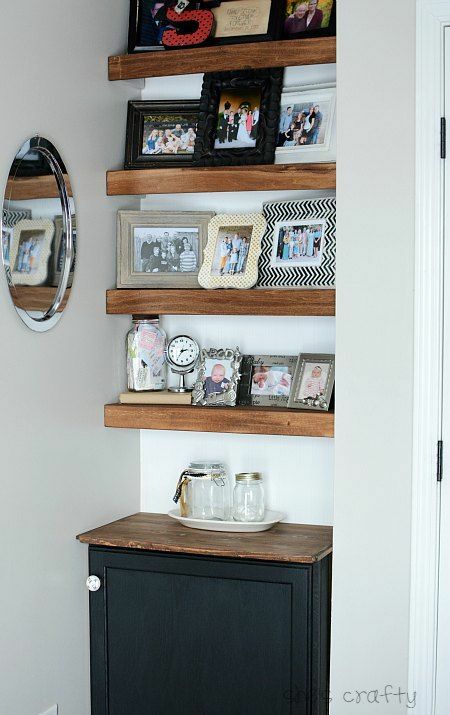 The shelves and cupboard are a perfect fit and look as if they've always been there. These projects were time consuming at the time, but have held up well and been worth the effort. They have also made our little house work so much better for us. 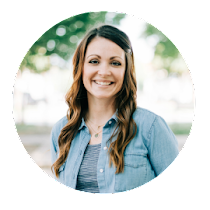 Don't be afraid to do a project because of how long it will take. And you'll be so proud of all that you have accomplished.